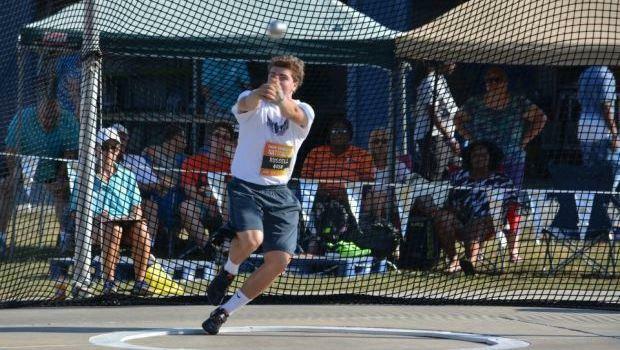 Rhode Island hammer-throwers will be well-represented at the upcoming IAAF World U20 Championships, July 19-24, in Poland. Just a week after former Barrington teammates Bobby Colantonio and Adam Kelly earned berths with their 1-2 finish at the Junior Nationals. onetime Moses Brown standout Owen Russell solidified a spot. Under adverse weather conditions, Russell won the Irish National U23 Track and Field Championships this weekend with a toss of 70.33 meters (230-9). He withstood a tight challenge from runner-up Adam King of Iveragh AC, who had a distance of 69.5m. Russell, who just competed his freshman year at Brown University, was third behind Kelly and Colantonio at last year's New Balance Nationals.